Happy Memorial Day! We stayed pretty low-key today, going to Nelson Brothers for some blueberry muffins then over to Sportsman's Park to fly a kite and for Andrea and I to read some books. I setup both our hammocks (the one I used hiking and a more typical macrame store-bought model). 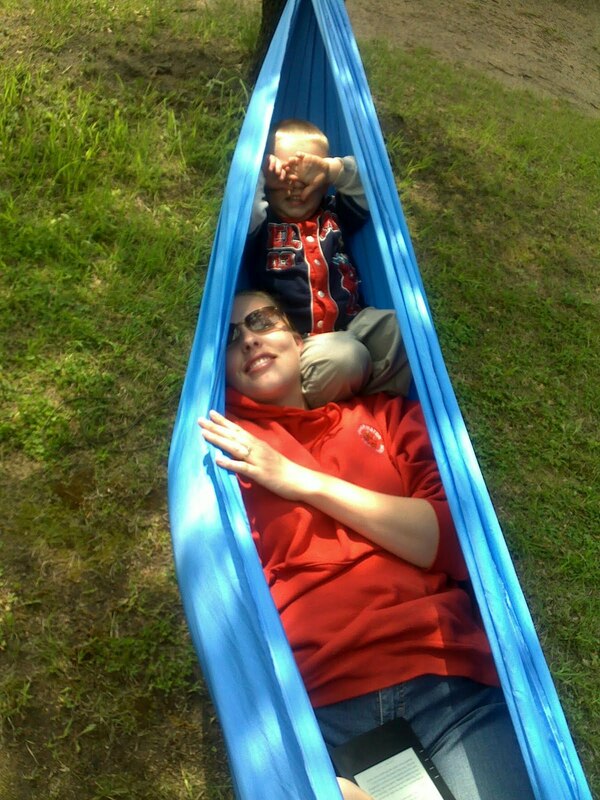 The boys enjoyed climbing into and out of the hammocks with us, among other things. 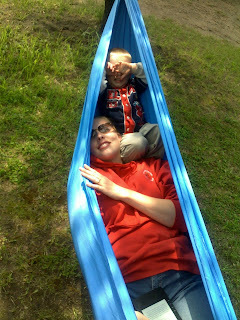 In this picture, he's clearly not letting Andrea get any reading done, but it's fun anyway. Book say Earth person... tall.